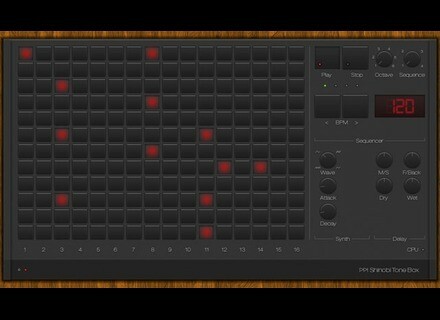 ToneBox, Virtual instrument for iPhone / iPod Touch / iPad from Shinobi Corp.
Shinobi Corp has announced the release of version 1.1.1 of ToneBox, a 6 octave, 64 step programmable 4 channel synthesizer, for Android Tablets, BlackBerry PlayBook and Apple iPad. Synthesizer - Configure 4 synth channels with Saw, Sine, Square and Triangle wave forms and also Attack and Decay. Delay - 4 independent delay settings for each Synth channel with, Milliseconds, Feedback, Wet and Dry options. 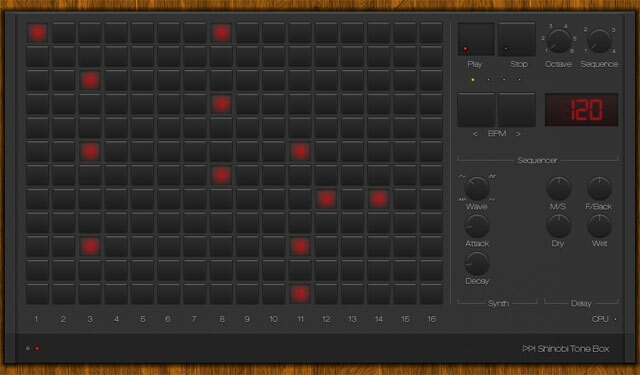 BPM - Set the beats per minute for your composition. Sequencer - 64 step sequencer. Octave - Choose a note from a total of 6 octaves. Livid Instruments XPC Controllers for Block/OhmRGB The XPC Expansion Controllers are hand-held controllers for your Block or OhmRGB that plug into your expansion jack. Soundiron 30% Off Sale To help celebrate their Emotional Piano v2.1 update release, they've decided to put their pianos and keyboard instruments on sale for a 30% until 12:01 AM on Monday, October 17, 2011. Sound Magic 3D Spacer 3D Spacer is an 3D effect unit using Sound Magic 3D technology.